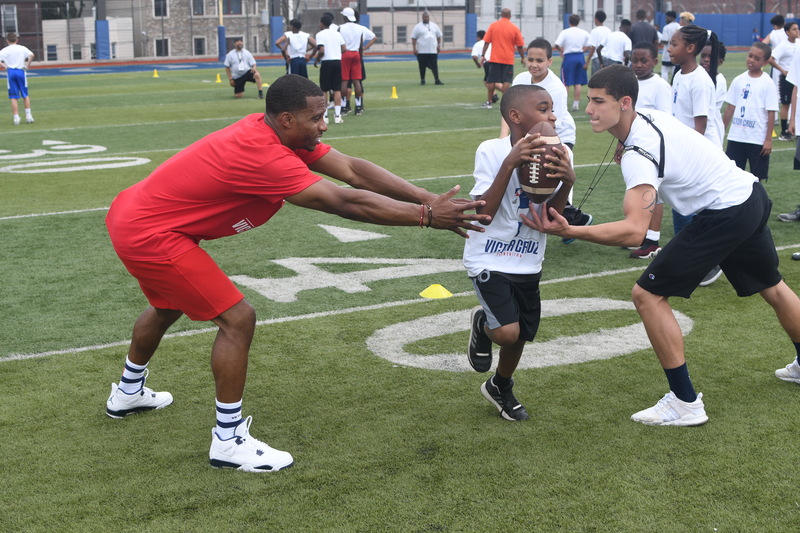 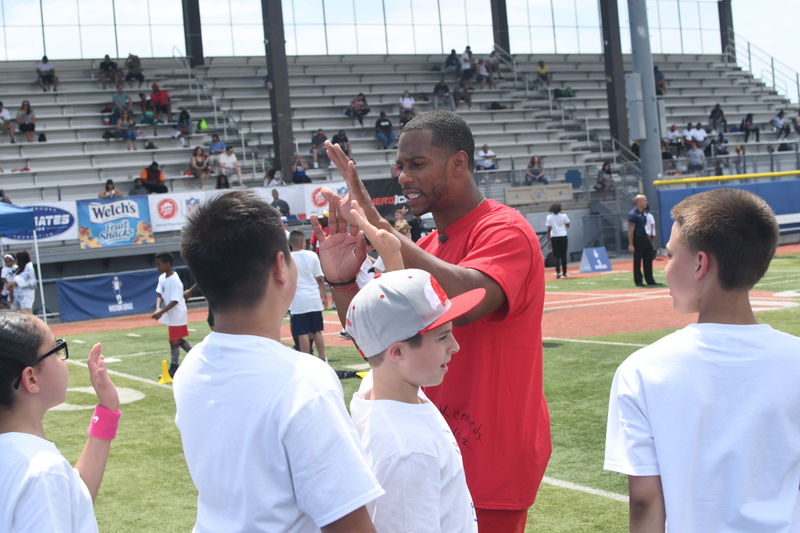 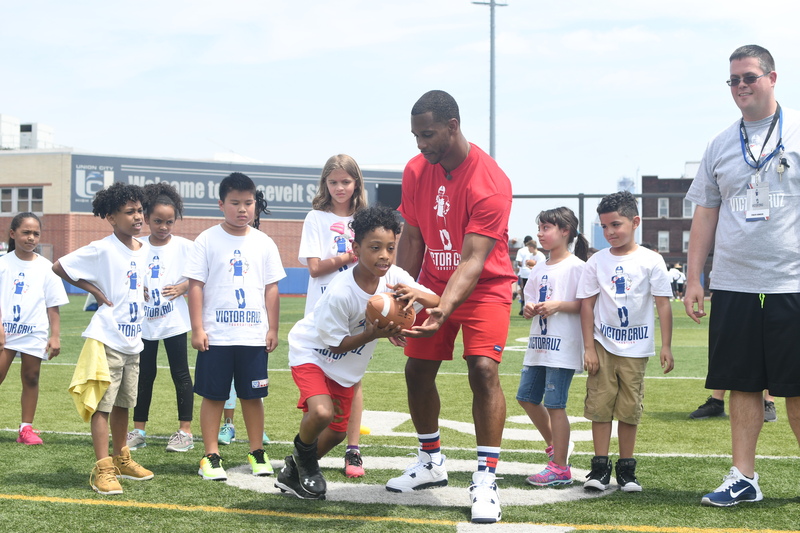 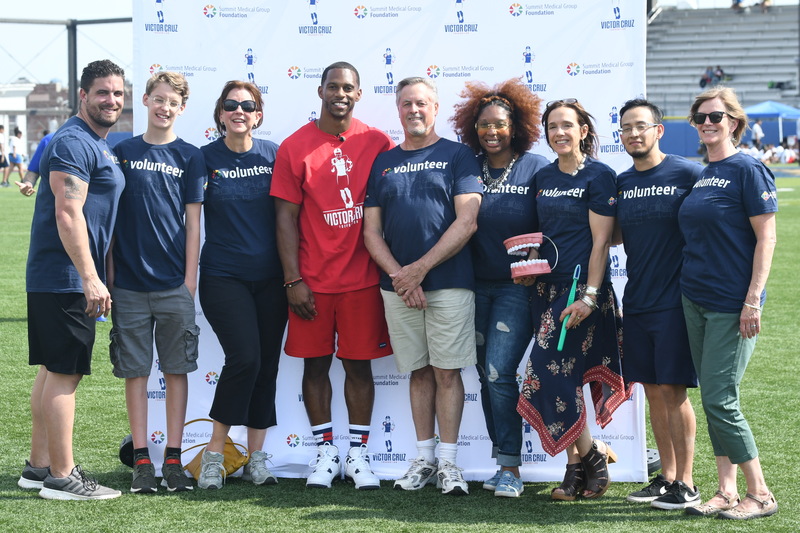 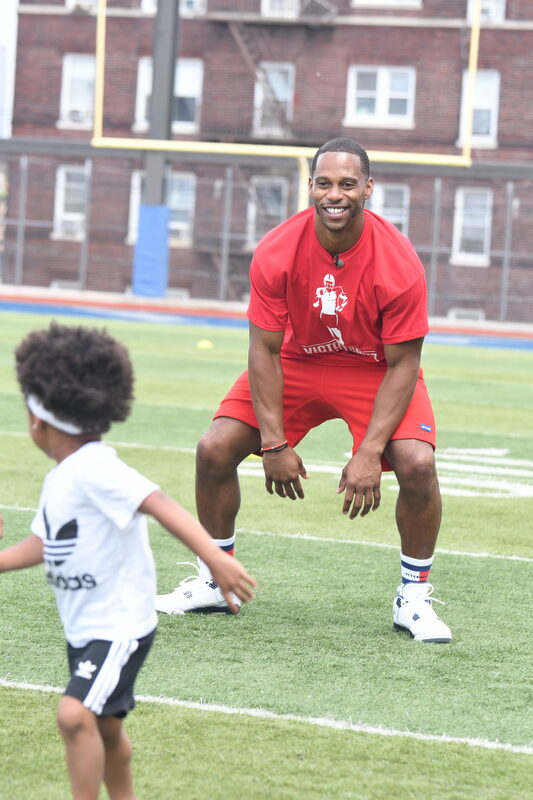 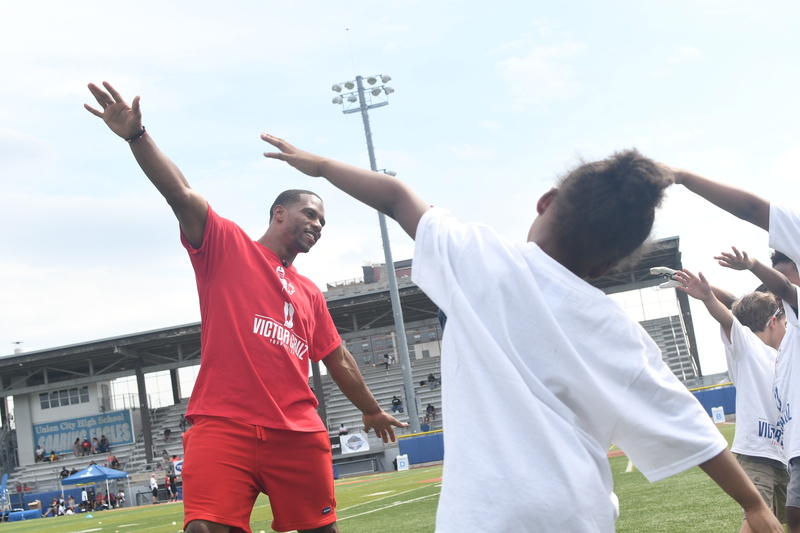 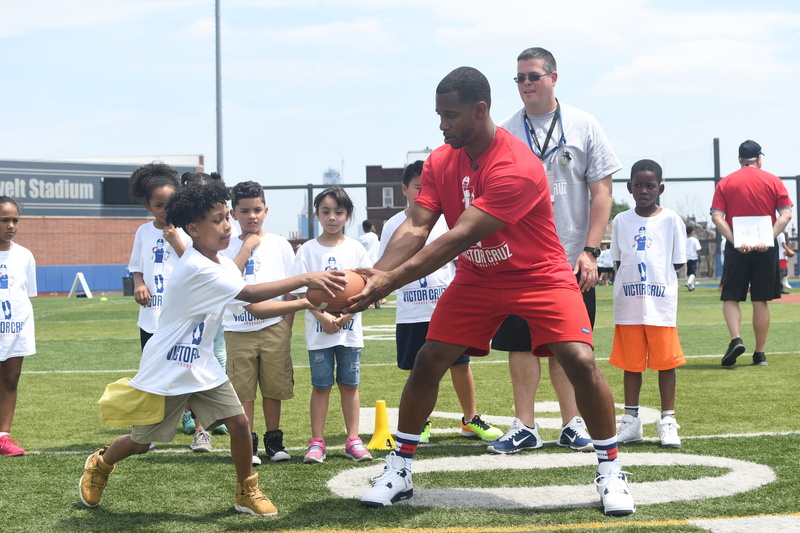 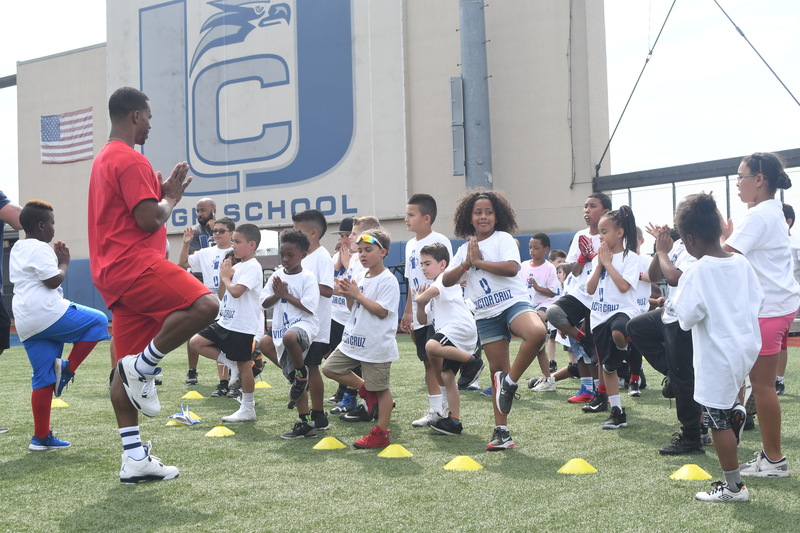 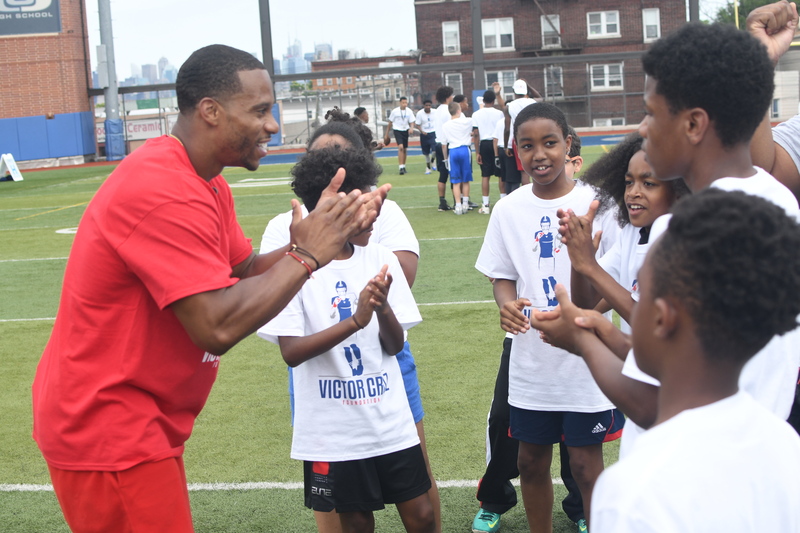 On Saturday, July 9th Victor Cruz hosted his annual football camp which benefits the Victor Cruz Foundation. 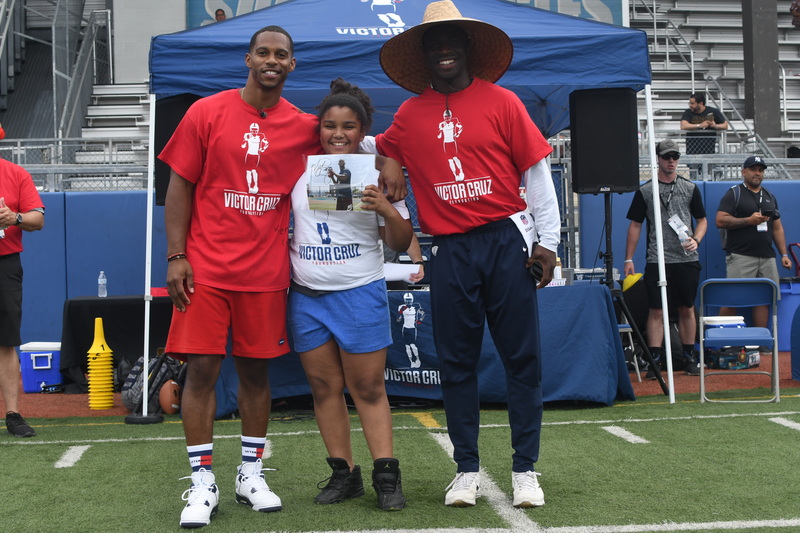 Over 200 local boys and girls joined the 2012 Pro Bowl Wide Receiver for three hours of football instruction and fun at Union City High School. 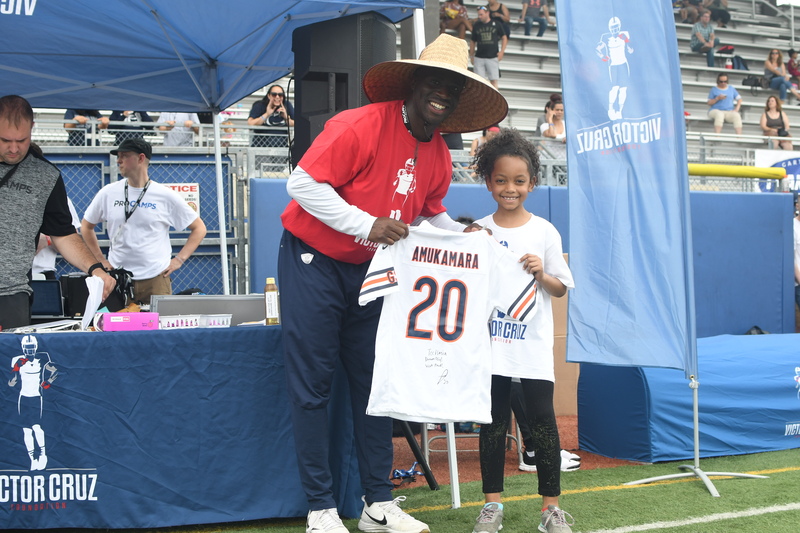 Former teammate and current Chicago Bear Cornerback, Prince Amukamara also joined Cruz for the day. 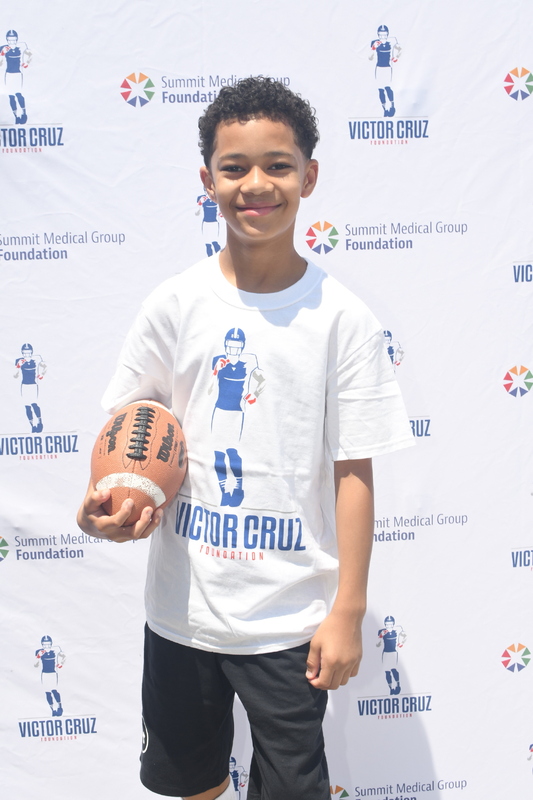 This year, the event included the foundation’s focus on STEM education by partnering with the Summit Medical Group Foundation. 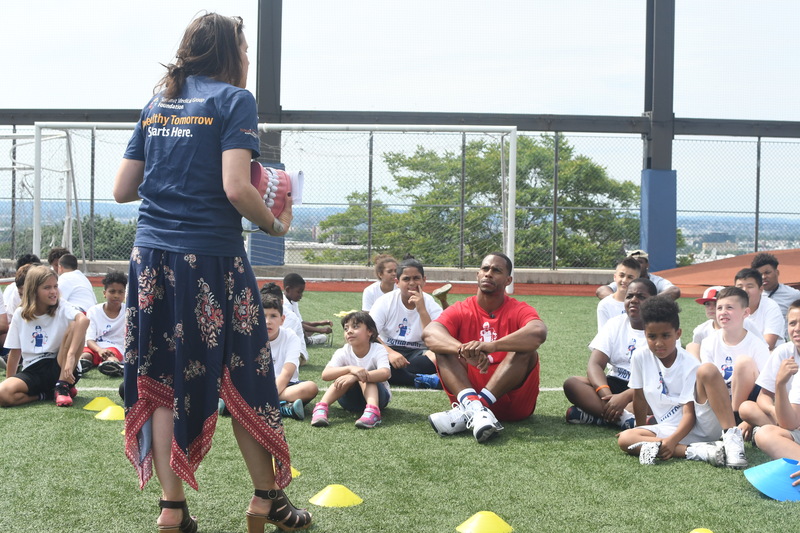 During camp, Summit Medical Group Foundation professionals hosted four 10-minute stations to educate the campers on injury prevention and proper care. 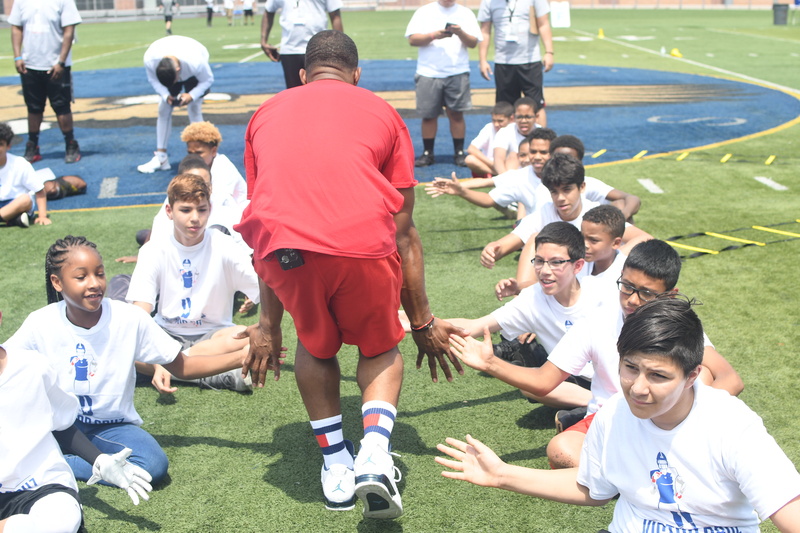 Campers learned, alongside Victor, as the professionals demonstrated proper technique and fundamentals in these four categories: Health/Hydration, Concussion Prevention, Wrapping Sprains and Decompressing with Yoga. 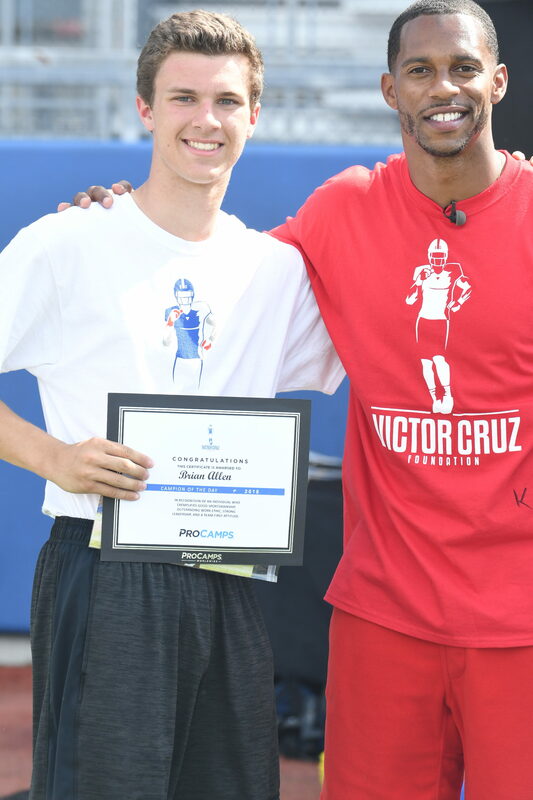 Each camper received a limited edition camp t-shirt, a water bottle, an autograph from Victor, as well as a team photo with Victor.